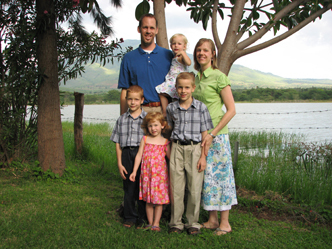 Tanzania is a country in East Africa where Rodney Myers and his family serve as missionaries. They work with the Datooga tribe as church planters. Bro. Rodney shares a bit about the Datooga tribe and the recent publication of the Datooga Bible. One of the things we talked at length about was linguistic training and how it can be a benefit to the missionary. This is true if a missionary is going into a tribal setting where there might not be a formal language school, but also for missionaries going to minister in a language that is not their native tongue. Bro. Rodney mentioned the linguistics program that he attended and later gave me some resources of linguistic interest. Be sure to visit Bro. Myers’ blog for stories of life in Tanzania.